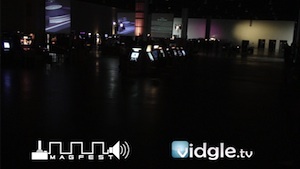 Vidgle - Tag Archive for "magfest"
Enjoy the sights of the music and gaming festival, MAGFest. 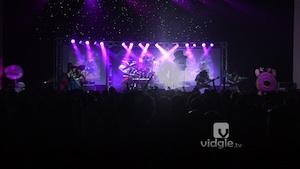 It’s time for part 2 of Alicia and Jeff’s adventures at the music and gaming festival, MAGFest! 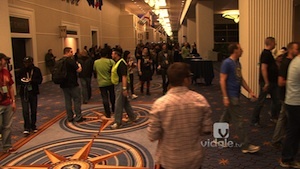 Alicia and Jeff are back at the eleventh annual music and gaming festival, MAGFest. 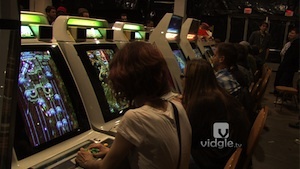 They will see cosplayers and attendees are enjoying the festivities! 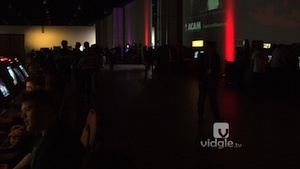 From Tuesday night to Monday morning of MAGFest, Vidgle has set up a time lapse camera in the arcade hall at MAGFest!